What to spend on an investment? 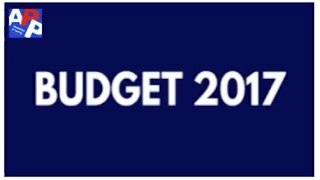 What will the Budget mean to you? 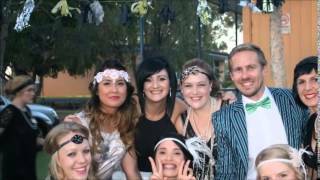 Watch this quick bullet-point video to work out the winners and grinners. Property is a long game. Let's see how property prices have faired over 20 years. It's no secret that investing in property is a long-term strategy. When you hear reports that property prices have dropped by 5.6% it can put you off property as an investment tool. 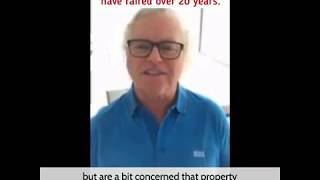 But when you take a step back, get some perspective, and view property prices over a 20-year period you'll see that property values have increased in a very healthy way. 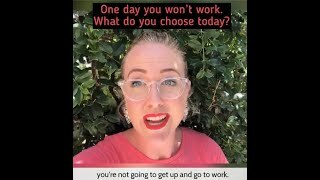 One Day You Won't Go To Work. Are you ready for that? One day you won't work. Sounds like a dream come true. But are you really financially prepared for that? Invest in yourself today. Future You will thank you. A week in from the Royal Commission: what does that look like for a Broker? As you may have heard, the report from the Royal Commission into the Banking Industry was released last week and some of the reforms put forward will affect our clients directly. Part of our process is to work alongside Independent Brokers from all aggregators such as AFG, Aussie Home Loans, Mortgage Choice and FAST. 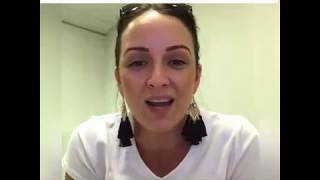 A few of the potential changes will impact the way a Broker is paid.Here at APP we’re 100% behind the Broker and how they get paid as it means our clients receive a free service, whereby they have access to the best loans from a range of lenders.Here is Bridget MacGregor from Vision Money, one of the Brokers we use in QLD, explaining how Brokers get paid, what they do for this payment and her plans moving forward. I'd like to talk to you about Change. 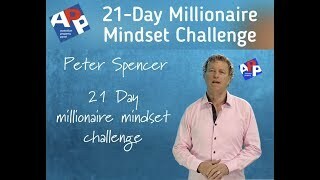 Over the years I've help hundreds of people build multi-million dollar property portfolios. I've learned that change is the only constant you can guarantee. Change will occur. Life will be easier if you learn how to embrace change. Let me help you understand and embrace change in our 10-Step process. If you earn $95k you're probably too busy to research buying an investment property. 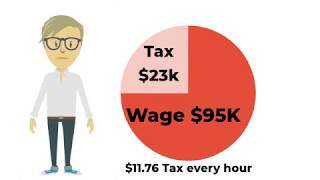 What's more, you're paying income tax of over $23k per year, or $11.76 every hour you work. 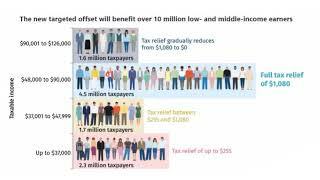 Want to make your tax work for you? 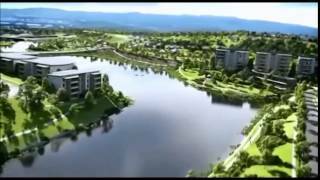 Build a future and invest in property? You probably need help. 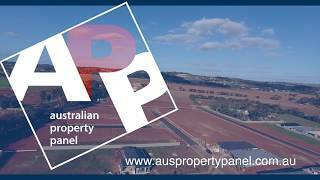 At Australian Property Panel, we are here to help you. Here's a quick snapshot of the Winners and Losers of the 2018 Federal Budget. How can APP help Me? Welcome to the Australian Property Panel. We use a property investment system that’s tried and tested right here in Australia, with all of our team following this same method to build their own personal property portfolios. We are a free advisory and property investment service, and we’ve helped over 2000 Australians create wealth through property. Let us do the same for you. Hear Bec & Luke's story how APP helped her and her family build their first family home after fearing they'd never be able to. APP help them every step of the way build the home that they wanted within their budget. APP can help you too. 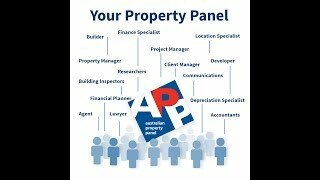 Check out www.auspropertypanel.com.au to find out how they can help you. I want to invest in property: how can APP help me? 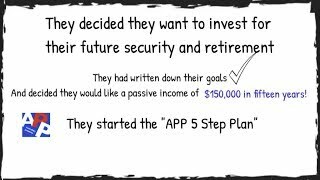 APP has been assisting clients make their investment dreams a reality for 12 years. They use a proven, tried and tested system. They spend an abundance of time speaking with clients about their investing needs and walking them through the process, step by step. Busy people in particular will benefit from what APP can offer. Meet Warren & Gina. They are regular people with an average income. They had written down their goals. And decided they would like a passive income of $150,000 in fifteen years. They started the "APP 5 Step Plan". 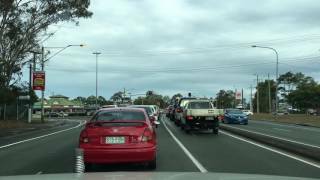 They are on their way to being multi-millionaires with a great passive income from property. Watch their story. Do You Want To Invest in Property? Then you need a team of specialists. Who else is going to help you with the selection process, advise you on the type of finance you need, whether you buy built or build. Where are you going to start? APP can help you. 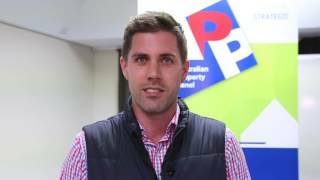 Hear from some of our satisfied clients as they describe their experiences with SA Property Panel. What can you expect at one of our workshops? Have you ever wanted to attend one of our workshops but been doubtful it will be of benefit to you? 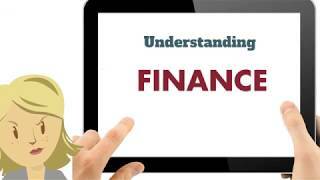 Watch this quick video and hear from 3 different people who can tell you what to expect. 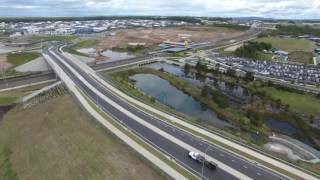 Mango Hill is a thriving hub in northern Brisbane. Wth all the essentials of schools, shopping facilities, transportation, open spaces, access to highways, investing in Mango Hill is worth considering. We can help you find the right block and the right builder to strengthen your property portfolio. Join us at Joyner. Big blocks, nice houses, great infrastructure. Great investment. Great capital growth. If you think client functions are boring, ours aren't. 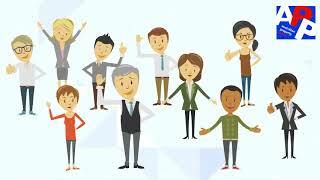 If you're interested in property investmet come and meet other like-minded people. Swap stories, compare strategies and learn from others. 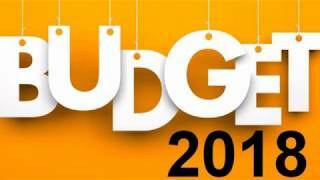 2017 Budget - How will it affect me? 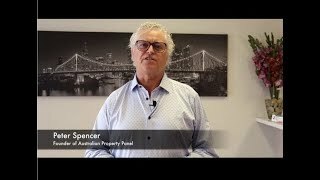 This video is a brief summary of what the main points are that may affect current and would-be Australian Resident Property Investors – keeping in mind that at this stage these are only proposals that will have to be passed by both the House of Representatives and the Senate, of which the government does not hold a majority. Here is a quick description about APP and the independent panel of experts we have gathered to help and advise you about all aspects of property investing. Learn how to invest the smart way and take the first step to a property portfolio today. 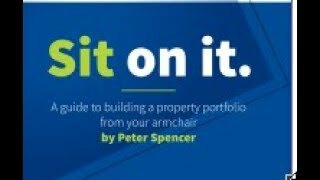 Receive our mini guide to property investing "Sit On It" for free. 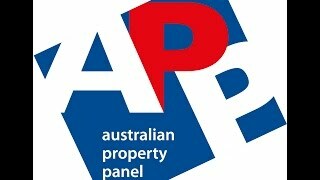 Visit www.auspropertypanel.com.au to download. 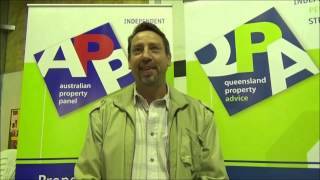 "Purchasing a property portfolio from the Australian Property Panel is a perfect property proposition". 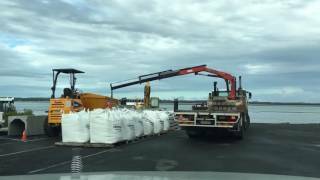 Our Moranbah clients struggle (hilariously!) with an APP tongue twister. 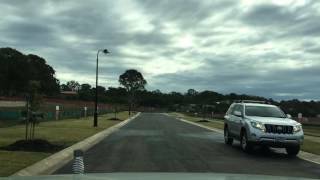 Part 1 of Emma Herbert's drive around on a new estate "Affinity Green" Thornlands, Redland City Council, where we hope to secure land for our clients. 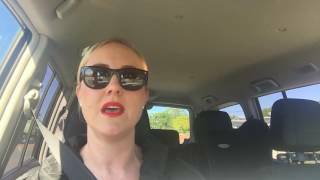 Part 2 of Emma Herbert's drive around on a new estate "Affinity Green" Thornlands, Redland City Council, where we hope to secure land for our clients. 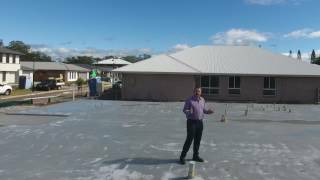 Part 3 of Emma Herbert's drive around on a new estate "Affinity Green" Thornlands, Redland City Council, where we hope to secure land for our clients. 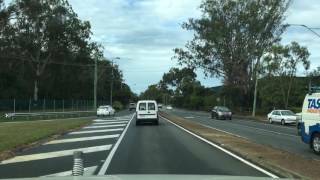 Part 4 of Emma Herbert's drive around on a new estate "Affinity Green" Thornlands, Redland City Council, where we hope to secure land for our clients. 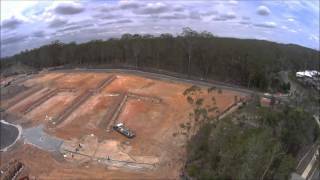 A flyover of Stage 13 Mount Cotton development in the Redlands City Council, Brisbane. 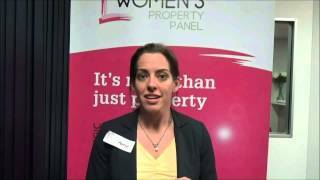 Katie tells us what she liked about the workshop she attended with the Women's Property Panel. Courtesy of the LendLease Group.